TAOISEACH ENDA KENNY has defended proposals to raise VAT from 21 to 23 per cent in Budget 2012. The increase was outlined in confidential government documents leaked to Germany’s parliament on Wednesday and obtained by TheJournal.ie. The VAT increase proposal comes two years ahead of the conditions agreed in Ireland’s EU-IMF loan deal. The Department of Finance has said that the papers are draft documents and that the final Budget 2012 spending cuts and tax increases have not been decided. Minister Michael Noonan later reaffirmed that the government had yet to sign off on the Budget 2012 measures, but confirmed that he plans to propose the 2 per cent VAT increase. Speaking today, Enda Kenny said that the proposed VAT increase would not affect food, children’s clothing or services, RTÉ reports. The Taoiseach said that the government had to make unpopular choices in its Budget, adding that he had already indicated he did not want to see income tax increased. A VAT rate rise has been condemned as a move which will drive consumers over the border for cheaper goods by groups including Retail Ireland, which described it as a “blow for retailers” that would further damage consumer confidence and undermine the recovery of the domestic economy. 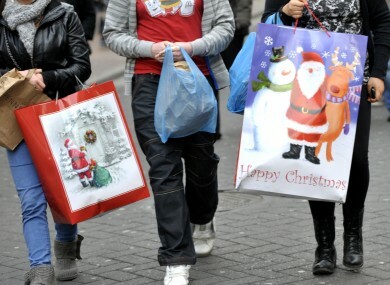 “The run up to the busy Christmas trading period is the worst possible time of year to make these announcements,” said the group’s chairman Frank Gleeson. He added that the move would push Irish VAT 3 per cent higher than in the UK, making cross-border shopping more attractive. Chambers Ireland said this was not the time to increase VAT given that spending levels remain low and that this is the time of year when it they have the potential to increase. “At a time when consumer confidence is weak, an increase in VAT will only strengthen the black market and push consumers towards illicit traders,” CI’s deputy chief executive Seán Murphy warned. The latest consumer sentiment index showed that although consumer confidence remains well below its long-term average of 88.1, it jumped ten points between September and October 2011 to 63.7. Email “Taoiseach defends 2 per cent VAT increase despite cross-border shopping fears”. Feedback on “Taoiseach defends 2 per cent VAT increase despite cross-border shopping fears”.